Michael Ochs Archives/Getty ImagesSister Sledge is planning a feature film about their lives and career based on Kim Sledge’s memoir, Life Song. Kim recalls one of the highlights of that career was singing at the historic Muhammad Ali/George Foreman “Rumble In the Jungle” championship fight in 1974 in Zaire, Africa. “I remember being in the elevator with Muhammad Ali and he was, like, 30 feet tall in my eyes,” Kim tells ABC Radio. The sisters performed at the “Zaire 74” music festival promoting the fight. 80,000 people attended the three-day event, which also featured James Brown, B.B.King, The Spinners, and Bill Withers, as well as numerous African artists. 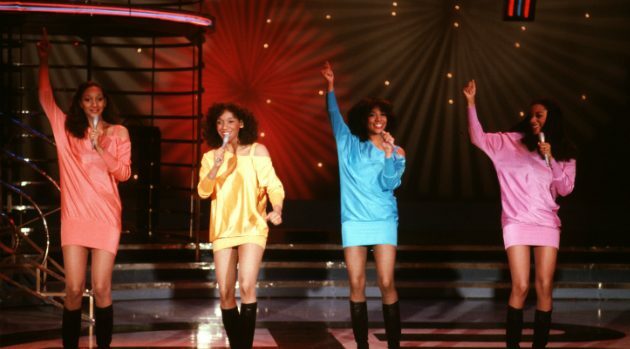 The festival occurred one year before Sister Sledge released their 1975 debut album, Circle of Love, and Kim remembers it was a valuable learning experience.